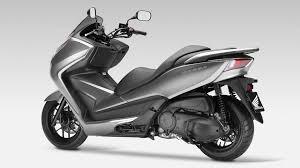 Honda (American Honda Motor Co.) is recalling certain model year 2014 NSS300 and NSS300A scooters manufactured June 18, 2013, to September 12, 2013. The rear brake line connection on the affected vehicles may have been improperly tightened, allowing brake fluid to leak. If the rear brake line leaks, there would be a reduction of loss of rear brake pressure and therefore rear braking function, increasing the risk of a crash. Honda will notify owners, and dealers will tighten the rear brake line connection to specification, and fill the rear brake fluid reservoir, as necessary, free of charge. The manufacturer has not yet provided a notification schedule. Owners may contact Honda customer service at 1-866-784-1870. Honda's number for this recall is JY3.